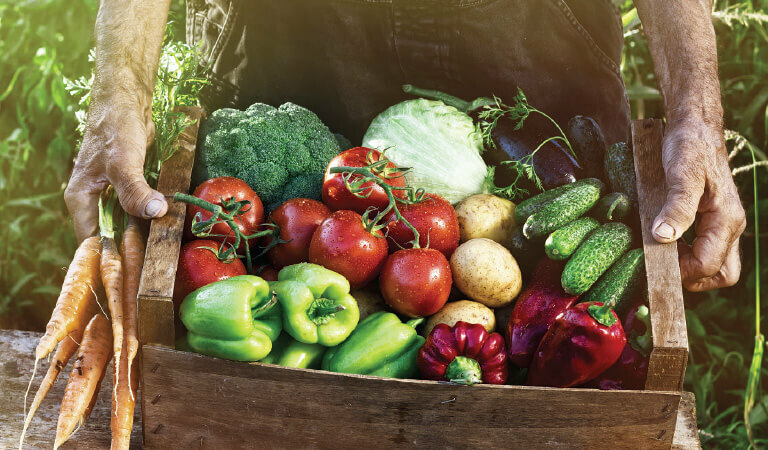 For those thinking about going vegan, it is important to eat a healthy and varied diet to ensure you are getting all of the nutrients you need. Yesterday, was World Vegan Day and the kickoff to World Vegan Month. As more and more people are turning to a plant-based diet to try to improve their health and also benefit the environment, now could be a good time to reduce your own meat consumption and try out some vegan recipes instead. However, taking a food group out of your diet does mean you need to make sure you are getting all of the vitamins and minerals you need from other sources. Here, AFP rounds up some advice from The Vegan Society on the important nutrients vegans need to include in their diet and where to find them. A common source of these essential fatty acids is fish, so vegans need to look elsewhere to top up their levels, especially as our bodies cannot make them and they are important for our immune system, brain, nerves and eyes. The essential omega-6 fat is called linoleic acid (LA) and many people who eat a varied diet including hemp seeds, pumpkin seeds, sunflower seeds, walnuts and soya spread manage to get enough LA in their diet. However, getting a sufficient amount of the essential omega-3 fat, called alpha-linoleic acid (ALA), can be more difficult. Good sources of ALA include chia seeds, ground linseed, hemp seeds and walnuts. You could also think about switching your main cooking oil to vegetable (rapeseed) oil to help top up levels. Although it is a common belief that the best source of calcium is milk, there are many other non-animal sources of the mineral which helps keep bones and teeth strong and healthy and is involved in the functioning of the nervous system, blood clotting, and controlling your muscles. Good sources of calcium include kale, pak choi, okra, spring greens, dried figs, chia seeds and almonds. Vegans can also include calcium-set tofu and calcium-fortified plant milk and yogurt alternatives in their diet to ensure they are getting a sufficient amount. Zinc is needed for many different functions in the body, including fighting infection, healing wounds, and growth and development. It is possible to get all the zinc you need from eating a varied and balanced vegan diet, but as animal sources such as seafood and red meat are common sources of the nutrient, vegans need to opt for zinc-rich foods such as beans, chickpeas, lentils, tofu, walnuts, cashew nuts, chia seeds, ground linseed, hemp seeds, pumpkin seeds, wholemeal bread and quinoa. Iron deficiency is the most common nutrient deficiency in the world, and as meat is rich in iron, it is important for vegans to pay attention to this mineral. However, the good news is that plenty of plant foods contain good levels of iron. Iron can be found in a range of legumes, nuts, seeds, fruits and vegetables, such as lentils, chickpeas, beans, tofu, cashew nuts, chia seeds, ground linseed, hemp seeds, pumpkin seeds, kale, dried apricots and figs, raisins, quinoa and fortified breakfast cereal.